I have left the most important and least understand subject until the last. Fasting can be described as Nature’s own method of healing. Not that there is any healing power in the act of depriving yourself of food alone. But, Fasting does give the digestive system directly and the rest of the body indirectly, a much-needed rest. Right from the beginning Naturopaths have held the belief that rest or conservation of energy was the best way to assist the body to heal and repair itself. Naturopaths were not quite alone. Many years ago an eminent medical doctor, John Hilton, wrote in his classical work Rest and Pain, the following words: "Pain is the monitor. Rest the cure." Doctor Hilton understood that pain was the reflection of the nervous system telling us that something was wrong. He also understood that at this time the body needed rest to effect a cure. The secret of Fasting is not mysterious. It provides physiological rest, which combined with mental and physical rest is the most important tool in the hands of the Naturopath. Fasting is the Rest Cure. We have now concluded our review of the most important and best-known methods which have been included in the practice of Nature Cure. Any one or more of these methods has been called Nature Cure. I leave it to the judgement of the individual as to what he or she thinks about each one. I have tried to indicate fairly those methods which I feel should and should not be included. If my readers feel that I have unduly harsh on some natural health practitioners, I would point out that any unorthodox treatment is better than the orthodox medical treatment. Any treatment which poisons the body less or which subjects it to less strain or less enervation is bound to be more beneficial than orthodox treatment. Since it is the inherent healing power within the body which heals, it follows that the less hindrance caused the better the end-result will be. Some remedies are simply placebos which act on the principle that they keep the patient happy while Nature does the curing. The bottles of coloured water and bread pills which were used at the close of the 19th century were used on the assumption that patients expect the doctor to give them something to take. We can only hope that humanity is ready to emerge from this infantile stage and can now adopt a more scientific and more rational outlook towards health and healing. There is a widespread misconception that anything which is not "medical" treatment must therefore be Nature Cure. Members of the medical profession are impatient with Naturopaths. They claim that doctors already use everything that Naturopaths use, so there is no need for a separate profession. It is true that the medical profession at one time or another has used all of our methods, although they have now largely discarded most of them. Dietetics, Liquid Diets, Fasting, Exercising, Relaxation, Sunbathing, Water Treatments and Manipulation have all been used by medical practitioners. Here we can anticipate a question. "If there is no healing power in drugs, surely there must be some healing power in herbs or electricity. Aren’t they natural?" My reply is none at all. The power to heal does not lie in any substance, any machine or in any other human being. The power to heal is within the tiny cells of every living body, animal or vegetable. Every cell of your body is vibrating with life, expanding and contracting, pulsing with movement. It is absorbing electricity and radiating electricity. It is absorbing chemicals and excreting chemicals. This is the power that heals. When we understand this simple basic truth, we understand almost everything there is to understand about Nature Cure. There is no healing power in anything outside the body. Nature Cure is used only for the purpose of releasing the inherent power within the cell. Only such treatments and procedures as those which help the body to achieve normality are of any value. We of the Nature Cure school know through experience that the human body will function perfectly if it is given the right foods, a favourable environment, proper hygienic care, and congenial activity. We believe that unsuitable food, drugs, medicines and unnecessary surgical operations, unfavourable environment, unhygienic living habits and negative mental attitudes all cause disease, reduce efficiency, hinder Nature’s self-healing efforts ,and shorten life. Every cell of the body has within itself the will to live, the will to survive. This is the life-force in action and this is what we have to encourage. A visit to a Naturopath is a pleasantly different experience from a visit to a medical physician. The physician is concerned mainly with outward symptoms and his treatments are directed largely towards removal of these outward symptoms. The Naturopath, on the other hand, concerns himself mainly with the search of causes of the disease. His treatments are directed mainly towards removal of causes. The medical profession holds to the belief that germs and viruses cause disease. The treatment is therefore directed largely towards the killing of these germs and viruses by means of drugs which are loosely called antibiotics. The Naturopath makes no effort to kill germs or viruses because he does not recognise them a being basic causes of disease. While he accepts the fact of the existence of bacteria, he knows that the bacteria are secondary in the scheme of disease-causation. Germs arise within a diseased and poisoned organism and thrive on the filthy matter they find there. Germs and viruses cannot and do not harm a healthy body. You can make a simple test for yourself which will prove this. Get two clean bottles. Stand them side by side. In one bottle place scraps of decaying food. Wait for a few days. The bottle containing the food will be infested by all kinds of vermin. The empty bottle will be free from infestation. Why? Because there is nothing in the empty bottle of interest to the vermin. Germs and viruses are scavengers of the human body. Germs find no habitation or food supply in a healthy body. Those who live in accordance with natural law have nothing to fear from germs. Every housewife knows that the secret of a healthy home is cleanliness. Apply the same line of reasoning to your body. If you have neglected your home it will become infested. So will your body. We return to our original question. What is Nature Cure? Nature Cure is a way of life which lays down certain requirements. If these are met we will be able to live in health. It also offers hope for the restoration of health to those who are afflicted. The right way back to health is to remove all unnatural living habits and obstructions to normal functioning of the body. The methods based upon natural law which I described earlier have their uses in varying degrees. When a Naturopath makes his diagnosis of a case, he forms a picture of the patient and his living habits. Obviously no two people are exactly alike and so his instructions may differ in each case. One person may eat suitable food but does not exercise enough. Another may exercise enough and eat suitable food, but due to the adoption of negative mental attitudes, nullifies all his efforts towards health. Some people eat basically good foods, yet grossly overeat, thus overloading their digestive capacity, producing indigestion and all of the ills that follow. Good health demands attention to all of the factors we have discussed. If we neglect one or more of these we may not necessarily die or develop cancer, but we will have reduced efficiency or shortened life-span. Any attempt at restoring health should take into account as many as possible of the essential factors, especially those that have been neglected over long periods. A one-sided approach to health is not Nature Cure. Dietetic errors account for by far the largest proportion of disease conditions and that is why Naturopaths lay such stress on the adoption of rational eating habits. No matter how positively we think, how much we fast, how much we exercise, if the food we eat is sub-standard we will never achieve the highest standard of health of which we are capable. We need food which is naturally suited to our digestive system. This is briefly raw fruit, raw vegetables, nuts, whole grains and a few other minor items. Our food should be masticated thoroughly and we should not overeat. Our food should preferably be organically grown using compost instead of artificial fertilisers. Food grown organically lasts better, keeps longer and has a higher nutritional value. We need pure air on our skins. We should breathe this air deeply and rhythmically using the diaphragm rather than the chest for this purpose. We need plenty of sunshine, both through the food we eat and directly on the bare skin. Our skin also needs regular bathing with cool water and then rubbing vigorously. We need exercise and plenty of it. We should adopt a positive, constructive and cheerful outlook on life. We should radiate love, harmony and helpfulness towards our fellow man. We should try to achieve mental poise. These are the minimum requirements for health and given these we should live long healthy lives, providing our heredity is sound. If wehave disobeyed Nature’s laws and suffer sub-standard health we may reverse the process providing the damage done to vital organs has not been too great. We must remove the cause of disease and do everything in our power to produce normality of the body structure and body chemistry. There are times when such treatments as manipulation can be used to correct structural faults and deviations. If the skin action has been impaired through years of neglect and it is no longer able to carry out its function of eliminating body wastes efficiently, hydrotherapy in the form of vapour baths, sitz baths, or compresses can be used to assist in normalising skin action. As long as the treatments are non-violent in character and carefully applied they can assist in achieving normality. The wise and competent Naturopath is the one who can detect the faults in his patient and then selects a routine which is the best suited to his needs. The philosophy of Nature Cure recognises only two forms of disease. It is unnecessary to give names to various sets of symbols. The body is either in the Acute state or the Chronic state. That is all we need to know. If the body is in the Chronic state then a different approach is necessary. In the chronic state the temperature is normal or below normal. If through years of neglect, the taking of drugs or submission to operations, or incorrect management of previous acute diseases, the disease ceases to be acute, it then proceeds towards the chronic state. In this state there may be loss of efficiency, tiredness, pains, deformity, or any one or more of many symptoms. In this state the body is unable to heal itself and restore health. It has virtually ceased to struggle against its enemies. As the acute disease is Nature’s method of healing, we must direct all of our energies towards raising the vitality of the body so this state will be produced. This could take from seven weeks to two years. We make use of all the forces of Nature we have been discussing under the heading of natural treatments and which are appropriate to our case. When the body is given the right foods and all other requirements and there is an unobstructed flow of nerve-force and blood, it will proceed to heal itself. It does this by producing the healing crisis. As stated before, this is the correct time to undertake a fast. When health has been restored it seems logical that the person should then rearrange his or her life and living habits so as to prevent a recurrence of disease in the future. There are characteristics peculiar to Nature Cure which should be explained to the newcomer. It can best be done by citing a case history. A patient presents himself to a medical physician for diagnosis. 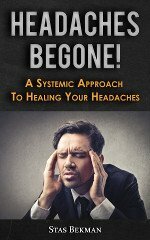 The physician finds that the patient has one symptom only—a headache. A drug is prescribed and subsequently the headache disappears. As far as the physician is concerned the case is closed. The patient suffered a headache, a drug was given, the patient now has no headache. In Nature Cure the case would not be closed so readily. We of the Nature Cure school would ask some pertinent questions. What set of conditions within the body produced the headache? What was the action of the drug, and by what means was the headache cured? What is the condition of the body? Have the conditions which produced the headache been removed? Has the drug caused any permanent change within the body? Until these questions are satisfactorily answered we insist that this kind of treatment remains unscientific and invalid. Cure of the disease does not always run quite as smoothly or directly as this case-history would indicate. The body has its own way of dealing with causes of disease. A short time after the adoption of a normal living plan certain dynamic and revolutionary changes take place within the body. The toxins or blood poisons which were most recently acquired are eliminated. Then those poisons which were accumulated further back in time will be eliminated progressively in reverse order to that in which they were accumulated. The poisons you accumulated a month ago will be eliminated first. The poisons you accumulated two months ago will be eliminated next. Those you accumulated twelve months ago will be next and so no. Thus the body progressively and systematically cleanses its tissues of unwanted and harmful material. This continues until the body finally rids itself of all harmful matter. A person who has had many diseases in the past and has cured them medically must understand that these diseases were not in reality cured at all, but only suppressed. Not only do his tissues contain the actual poisons which caused his disease in the first place, but also the residues of the drugs used to cure the disease. So, the body, acting under the stimulus of the new Nature Cure program, builds vitality which enables it to progressively throw off both the original disease producing poisons and the drugs used in treatment. In carrying out a Nature Cure treatment we commonly find that the patient has a revisitation of his old illnesses, but in a milder form and for a shorter period. This is what distinguishes Nature Cure markedly from all other forms of healing. A patient following a Nature Cure regime actually re-lives his past medical history in reverse. The intelligent patient is pleased to note that his body is now vital and active and that for the first time in years it is healthy enough to rid itself of poisons accumulated over a long period. Even though many so-called miracles have occurred under Nature Cure, it would be wrong to demand dramatic results in every case. Each case is different. Some people have had organs removed. Others have taken drugs or eaten unsuitable food over a long period. Others again have sustained injuries to the spine or other vital parts of the body. A person who after a long period of wrong living simply adopted more rational eating habits may find that his condition persists or even becomes worse for a time. Only a complete change in the way of life will be of any avail in these cases. Half measures will not do. A body saturated with poisons or unwanted materials will take some time and patience to rehabilitate. In rare cases, the sufferer must be content with prevention of any further deterioration in health or at best to experience a slow transition back to full health. We cannot dictate to Nature. A healthy person is one who can do a hard day’s work and enjoy it. He recuperates quickly. He needs no artificial stimulants such as tea, coffee or alcohol. He needs no poisonous sedatives like tobacco. He has normal bowel action without having to resort to laxatives or the enema. What is more he is free from aches and pains. His tongue is clean, his breath sweet and fresh. He feels well every day. His mind is alert and intelligent. If you do not measure up to these standards it is time you took stock of yourself to see what changes you can make in your way of life to correct any deficiencies. If you have absorbed the contents of this book you will at least know the answer to the question, What is Nature Cure? 1. All healing power is within your own body. 2. There is nocurative power in drugs, medicines, herbs, foods, electrical apparatus or anything else outside your own body. 3. Nature has notprovided cures for disease. Nature has only provided penalties for the breaking of some natural law. 4. Return to an obedience to natural law is the only valid method of cure. 5. Drugs cause disease. If they succeed in "curing" one disease, they cause another. All drugs have two effects. One is that intended to benefit the patient and the other is the side-effect which harms the patient. You cannot have one without the other. 6. Since all drugs are potential causes of disease we should avoid them at all times. 7. Drugs do not act upon the body, as taught in medical schools and in medical textbooks. The body reacts to the drug. The body recognises the drug as unwanted material and makes an attempt to expel it. 8. True medicines are materials and influences which have normal relations to the body. Drugs are all harmful because they are not normal to the body by Nature. 9. Nature’s medicine chest contains: Sunlight, air, water, rest, exercise, correct temperature, natural foods, positive mental attitude, and correction of misaligned body joints. 10. Nature Cure consists in supplying the body with whatever it needs, and can use, in the particular circumstances. 11. Nature Cure assists to get well by removing the causes of disease, and by providing the most favourable conditions. 12. Nature Cure is not a one-sided approach to health. It makes use of all non-harmful methods which have as their objective the normalisation of the body. 13. When the body is given its normal natural materials and conditions it maintains health. It will restore health when it has been lost.